Managing employee timekeeping software can be a hassle for any company, but it doesn’t have to be. Timekeeping software such as Hour Timesheet can eliminate the frustrations that accompany timekeeping by automating the processes associations to payroll and billing. Most businesses already use an automated payroll service, but many are slow to navigate to an automated timekeeping software solution. The most basic benefit to your business is that less time will be spent, both by employees and your accounting staff, tracking, recording and processing their time spent working each day. Some businesses have reported cutting their time calculating payroll each month by up to 70%. Manual timekeeping software may work, in some respects, for your business now. If you expect your business to grow, you’ll want a system that can grow with you as you hire more employees and have more information to track and enter into payroll. State and federal labor laws, such as the Fair Labor Standards Act, regulates things like overtime pay and record keeping, both of which can be problematic with the wrong solution. Employers are required to accurately record the hours worked by nonexempt employees and to pay them for all time worked. These requirements appear straightforward. In practice, however, capturing the time worked by employees can be difficult, making accurate payment of wages a challenge. Using an online solution such as Hour Timesheet helps your organization stay within the law. Every company has had issues at one time or another when it comes to employees not receiving the proper amount of pay. Wage and hour lawsuits, particularly those claiming that employees were not compensated for all hours worked, are one of the most common types of lawsuits brought by employees against employers. With Hour Timesheet, employees submit each timesheet which includes a detailed audit trail of all timesheet activity. The bottom line for any business is to be profitable, and businesses are constantly looking for a way to cut costs and increase profits. When they have an automated employee timekeeping software solution, they are better able to understand the company workflow, and see where there are any problems that need to be addressed. Many employees get nervous when they hear their company is going to implement a policy of tracking of hourly time using an online timekeeping software solution. They hear the word “tracking”, and automatically feel as if they are being constantly watched. Employers need to make sure that their employees realize the reasons for having time timekeeping software. It is about payroll issues, client billing, and cutting expenses. These are things they can understand. The right timekeeping software solution has the capability to help employees to better capture their time spent on various projects, while giving managers visibility into the employee’s work day. In addition, companies who hire contractors or have remote employees can keep costs down while ensuring accountability. Business owners and managers can see the overall picture of time spent on a project, which can help them re-prioritize or streamline processes, or pull additional resources to a project that needs more attention. Automated timekeeping software makes employees happier because the solution guarantees timely and accurate pay. Employees gain secure access to their personal data and history. This makes it easier for employees to access information without having to go through the human resources or accounting department. Employees feel empowered when they have access to their own information, and that level of empowerment can lead to increased satisfaction on the job. 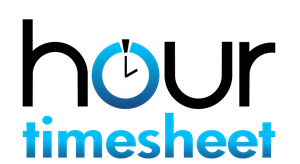 Why Use Hour Timesheet instead of the QuickBooks Timesheet feature? Detailed audit trail of all timesheet entries - Hour Timesheet contains an activity log that tracks the username, IP address and a time and date stamp of all entries made to the timesheet. The QuickBooks timesheet feature does not. 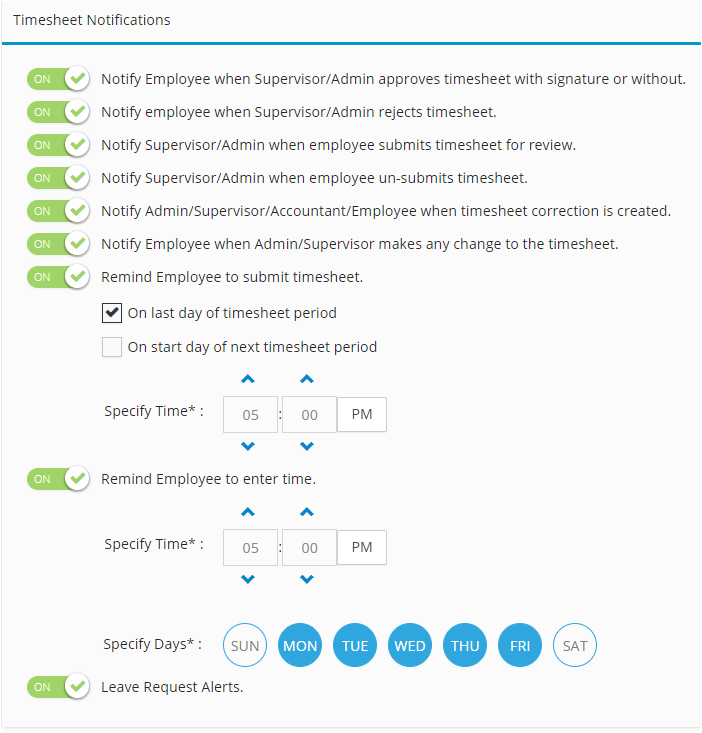 Multiple supervisor signatures - Hour Timesheet allows for multiple manager signatures to any employee timesheet. Employees in a cross functional (matrix) organization can have each manager approve the timesheet. The QuickBooks timesheet feature does not. Authorized charges - Hour Timesheet includes the ability to limit employees to only see charge codes they are authorized to charge to. Limiting what the employee can see on the timesheet eliminates the possibility of employees charging to wrong codes. The QuickBooks timesheet feature does not. Reason required - employees who don't enter time daily can be prompted to enter a reason for the tardy entry. Hour Timesheet also requires the user to enter a reason for editing a previously entered data on a timesheet The QuickBooks timesheet feature does not. Correction timesheet process - Hour Timesheet includes a correction timesheet process providing alerts (emails) to supervisors and site admins when correction timesheets are created. The QuickBooks timesheet feature does not. With a click of a button Hour Timesheet syncs all of your QuickBooks Timesheet data to/from QuickBooks. Enter new employees, job codes, service items and class list in QuickBooks and use the sync tool to populate the same data into Hour Timesheet. Once time cards are submitted and approved by supervisors, all employee time data is populated back into QuickBooks Timesheet entries. Question? What kind of data does the Web Connector sync with Hour Timesheet? Enter data ONCE in QuickBooks. Use the import tool inside Hour Timesheet to populate your site. The import tool can be used to update your data ANYTIME you add new data to QuickBooks. After timesheets are completed, Hour Timesheet will import the data back into your company QuickBooks file by using the import tool as an admin from within Hour Timesheet. Question: What does Hour Timesheet Send to QuickBooks? Answer: The Timesheet Export process will populate the weekly time cards in your company QuickBooks file with the following data. Employee Name, Date of Entry, Hours by Day/date, Customer, Job, Service Item, Class, and Payroll Item charged to on timesheet.